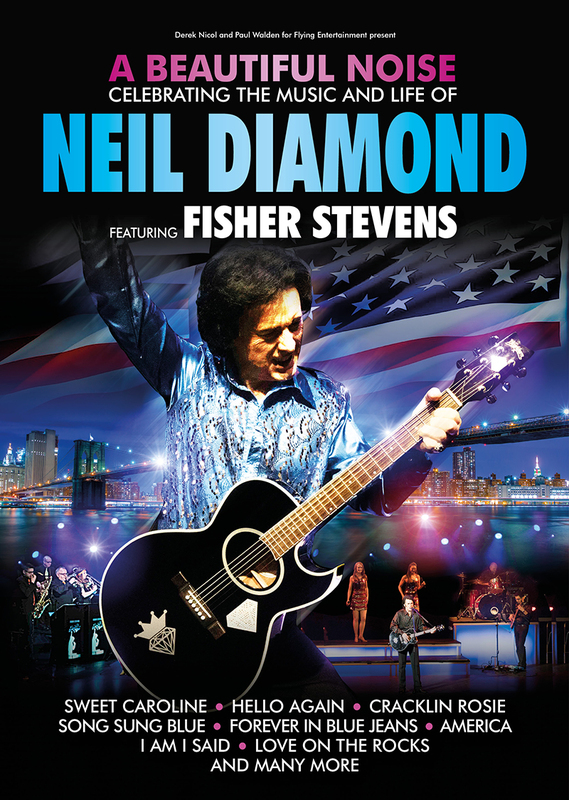 Award winning Fisher Stevens celebrates the life and music of Neil Diamond, one of the world’s greatest ever singer songwriters in A Beautiful Noise. Fisher and his sensational band take you through five decades of Diamond’s biggest hits including Brooklyn Roads, Heartlight, September Morn, Hello, Longfellow Serenade Love on the Rocks, Forever in Blue Jeans, He Ain’t Heavy, Cherry Cherry Song Sung Blue, I Am ... I Said, America, Holy Holy, Soolaimon, Brother Love’s Traveling Salvation Show, and of course Sweet Caroline, plus many more. With Stevens’ extraordinary vocal range, relaxed sense of humour and stage presence, live band and backing singers this is the ultimate musical journey that all Diamond fans, old and new have been waiting for.